Fitness Skillastics® positively promotes physical literacy by encouraging maximum participation in kids fitness programs for children of all abilities in a fun, non-threatening atmosphere. The research speaks for itself, active children improve learning outcomes. 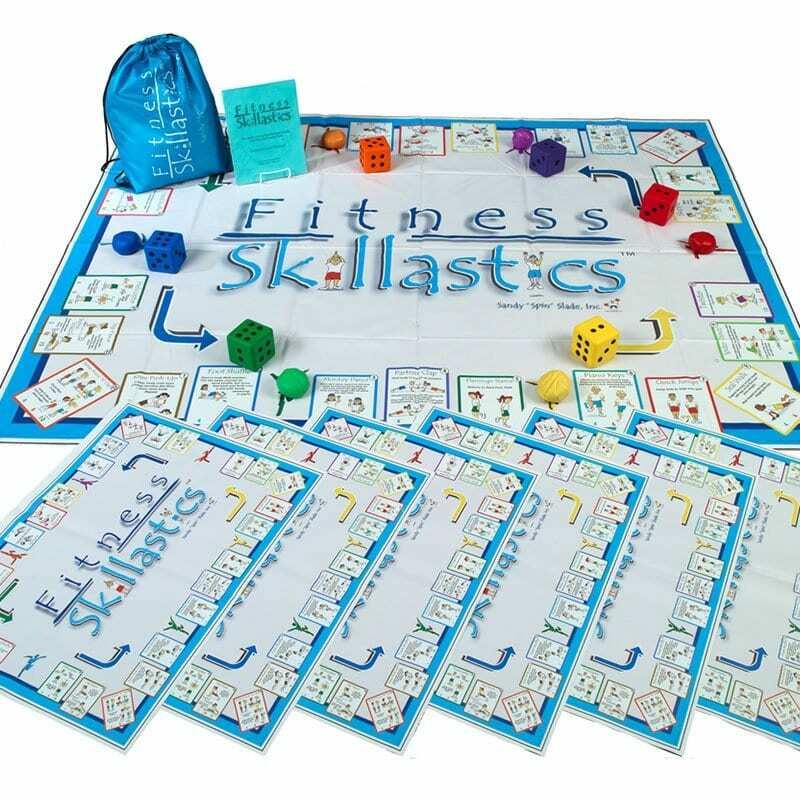 Fitness Skillastics is a powerful resource that helps children learn new ways to improve fitness skills, work with others and understand what physically fit and active for a lifetime really means. All 26 physical activities are approved by leading childhood fitness experts and are aligned with the National Physical Education Standards and AfterSchool HEPA Guidelines. The detailed instructional manual includes muscle group recognition activities to enhance the fitness experience. 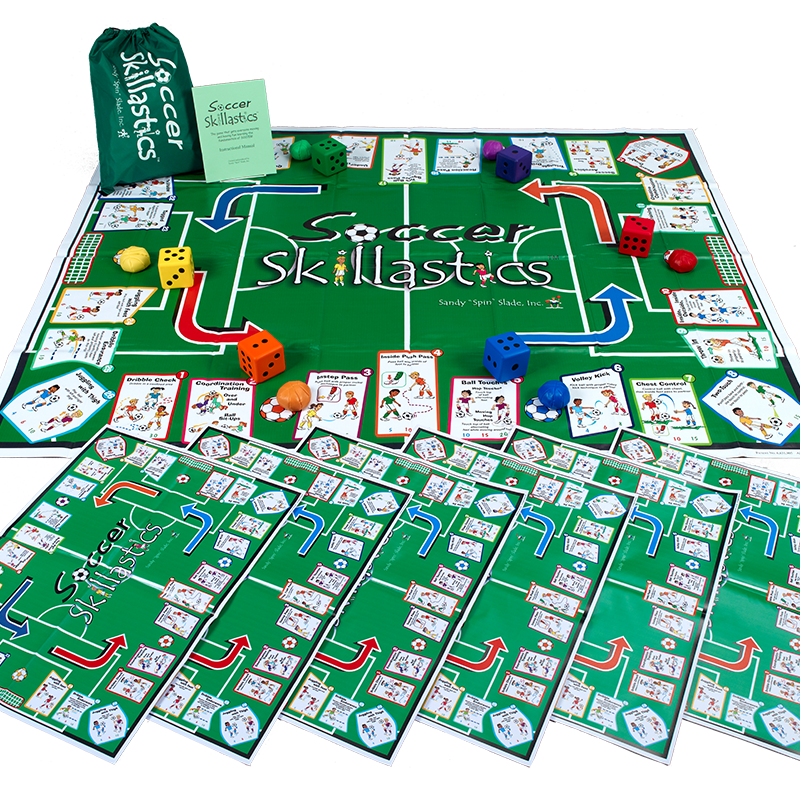 Add the Skillastics® Elementary Nutritional Cards for a perfect balance of physical activity and nutritional knowledge. This is a favorite with the kids and teachers. The fitness skills are age appropriate and the students love them. 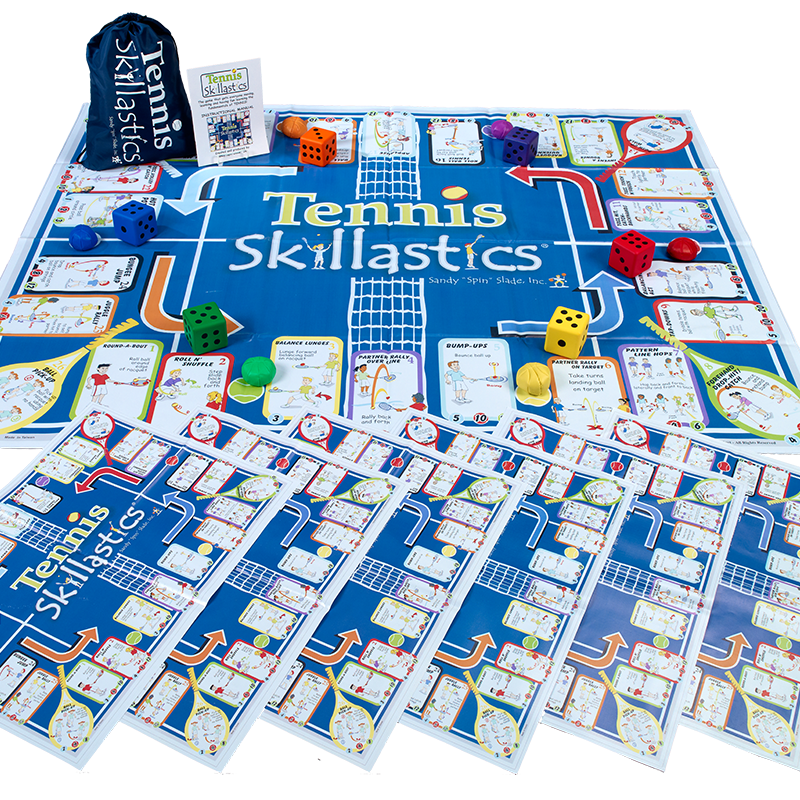 SBCUSD Elementary PE teachers love this Skillastics activity set and no additional equipment is needed, which is a huge plus. Our students at PRES love the Fitness Skillastics. They enjoy doing the activities as a group and that you use a big game board. We as PE teachers love that we can do it with a large group of students and everyone is active at the same time. Directions are easy to follow. Exercises are great! Students enjoy Fitness Skillastics! This product is a hit with all grades 1-6. Especially the younger kids. The fitness skills are appropriate for all my students, and is absolute must for teaching fitness to children. It gets the entire class moving at the same time for as long as needed. 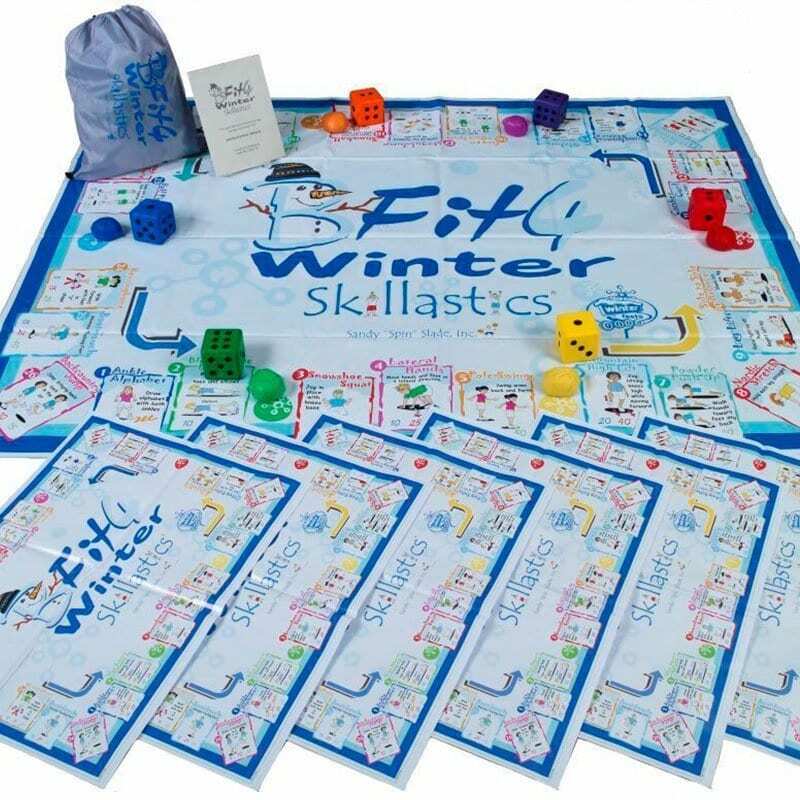 The fact that it is a board game is just icing on the cake. Total participation even with large groups. Works well in limited space. Great product. This is a great activity that can be used as an instant activity or a lesson focus. Directions are easy to follow mixed with great visuals are a hit at my K-5 elementary school! The best fitness activity pack I have found in the market! My kids love ❤️ it! They work collaboratively, they’re active and have fun at the same time. It also works for large classes which is a plus because my schools serves about 1600 children. I would highly recommend it to any Physical Education teacher. This is a great fitness activity to add to your curriculum. Students like the exercise and usung the nutrition cards to learn about healthy eating. I like this activity because it is a board game that involves cooperation and exercise. After you demonstrate, it kind of runs itself. It allows the teacher to then walk around and offer feedback to the small groups. Each member feels special because each of them take turns rolling & picking cards then have to go back and teach the activity to the rest of the group. I think the sports games would be nice to change the focus of the activity from teacher-directed to student-lead. This is a great whole class activity as well as station activity when working on our fitness unit. Easy to set up and pack away. The nutrition card sets are an excellent addition to this board game. This is a great activity to incorporate team work and cooperation while working on fitness activities. I also like that it is student lead once the game is explained, which gives me time to move around the space reinforcing behaviors. The kids like the “game board” aspect and enjoy the activities included! 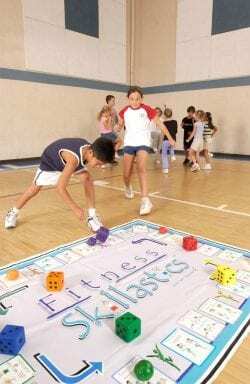 We ordered the Fitness Skillastics for EIGHT after school programs in our county. We love the ease of preparation as well as the ability for students of all skill levels to participate. The students feel like they are playing a game, so they don’t always realize that they are completing fitness activities! 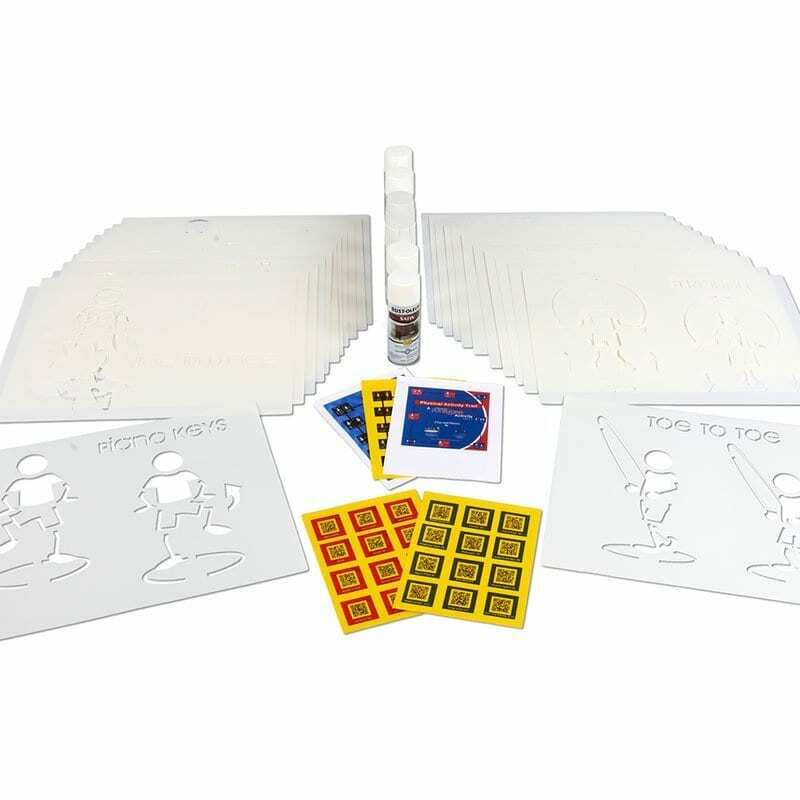 We love that the activities can be used with or without the game boards, if space or time is limited. 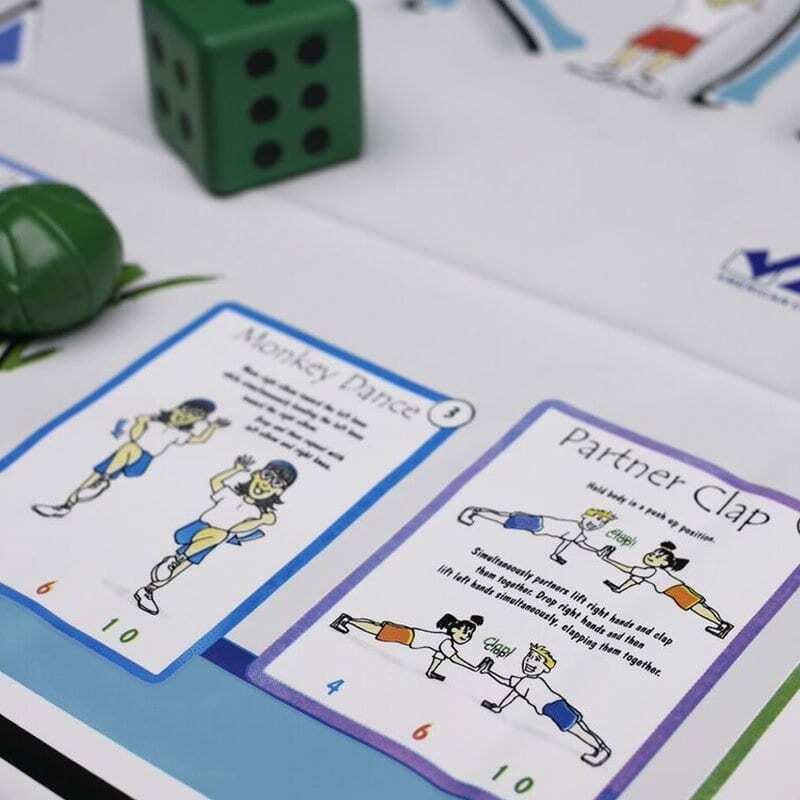 The nutrition cards are a wonderful way to add with the game or as an independent activity. We LOVE Skillastics! This is a great way to introduce students to fitness or to enhance what they already know. I used this game for kinder all the way up and they all did a wonderful job and thoroughly enjoyed it. We did all of the exercise together and then played the game, this game gets thumbs up all the way around. my students love Fitness Skillastics! After reviewing the exercises and rules, we turn on some music and they just go after it. They ask to play all the time! Easy set up and kids loved the concept of playing a board game that was interactive. Great for large class sizes or those days when you have a class and a half. I also use it for my before school fitness club to have a change of pace. Highly recommended and user friendly. The pre-service students love this product. 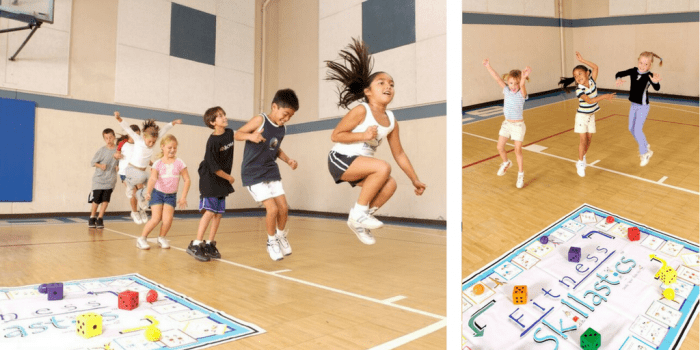 It is all about physical activity through the style of a board game. Through cooperation and a little competition, the pre-service students forget it is developmentally appropriate for elementary students. The love this game!